In the heart of Kentucky’s Bluegrass Region, is Boone Creek Creamery where we create handmade artisan cheeses such as Abbey Road Cheese, Blackberry Serenade Cheese, Butterkase Cheese, Buttermilk Cheddar Cheese, Caerphilly Cheese, French Cheddar Cheese, Ginger Rhapsody Cheese, Gruyere Cheese, Jerk Cheddar Cheese, Kentucky Cheese, Kentucky Derby Cheese, Lexington Cheese, Mama Mia Cheese, Sassy Redhead Cheese, Scandinavian Grilling Cheese, Smokey Mountain Cheese, Tuscan Sun Cheese, Wensleydale Cheese, and Wildcat Blue Cheese. We believe that hand-making cheese creates a richer, more complex flavor so we use old world European techniques to protect the delicate curds. We use only the best Kentucky Proud milk from cows that graze on nutrient rich grasses as nature intended—free of antibiotics, hormones and steroids. Come in for a tour of our cheese making facility and taste for yourself why Boone Creek Creamery is howlin’ good. 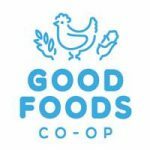 Good Foods Market & Cafe is a locally owned and operated cooperative business where everyone is welcome to shop. Good Foods has been in business in Lexington, KY since 1972. With a modest start as a buying club in a garage, we now have over 12,000 square feet of retail space in our Market & Café. In serving our diverse community, our market carries everything you need from a grocery store, with focus on local, natural, organic, and whole foods. We are proud to support numerous Kentucky producers and farmers. 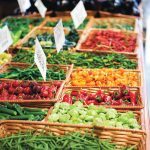 We offer a variety of organic produce,fresh fish and natural local meats,supplements, housewares, bath & body care products, herbs & spices, pet supplies, vegan foods, and vegetarian foods. Our Café offers a salad bar, a lunch and dinner buffet, sandwiches, sushi, and an espresso and juice bar. Member-owned, agricultural cooperative serving Lexington since 1975.